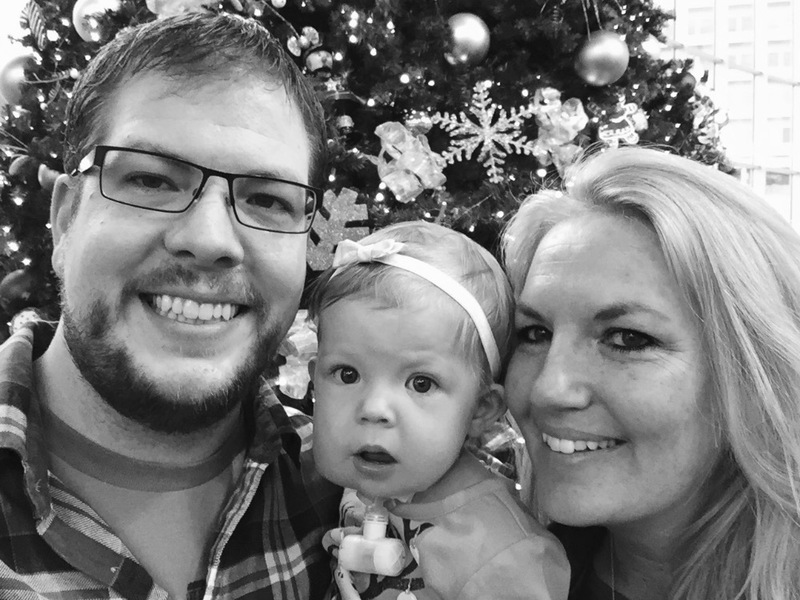 This is the story of my awesome wife (Beth), me (a graphic designer dad) and our first baby, LoLaine (LoLo), and the crazy journey she took us on. 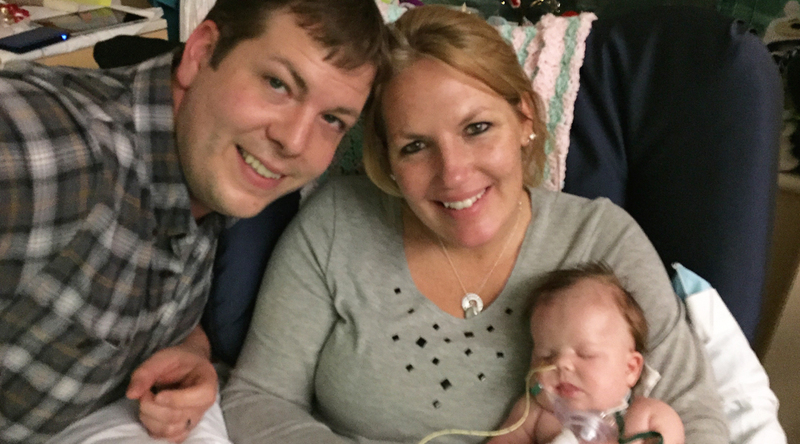 At 36 weeks, Beth used her "psychic mom powers" and asked for an ultrasound at our doctors appointment. This resulted in the doctor giving us the ol' hand on the shoulder, "I'm really glad we did this." move. 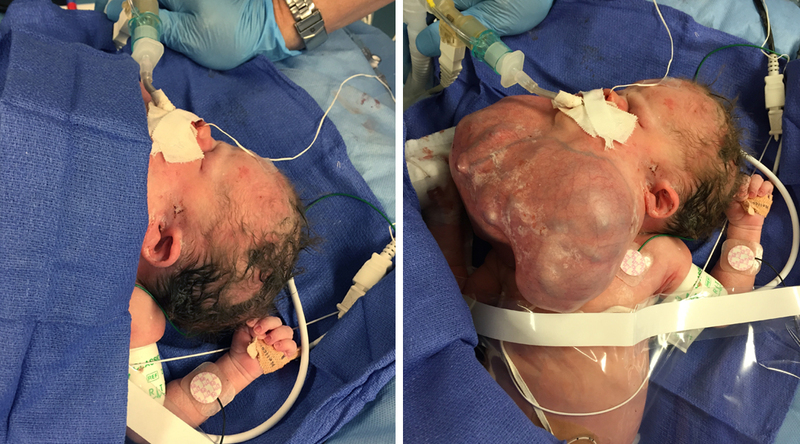 She discovered a large teratoma, a kind of tumor, on the front of our daughter's neck. Very rare, very scary, and definitely wasn't there at our 20 week ultrasound. 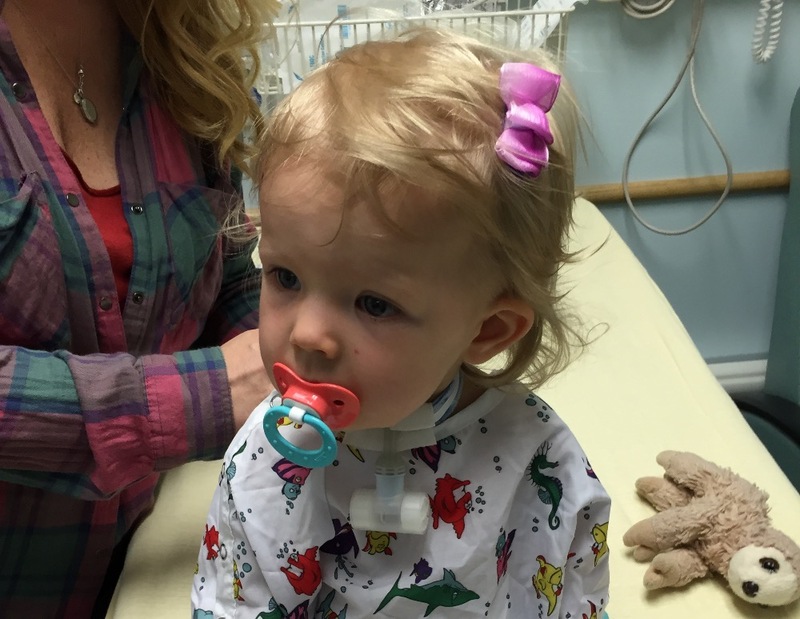 We spent 77 days in the Omaha Children's Hospital with LoLo, from an emergency delivery with 55+ medical professionals in the room, to a tumor removal surgery days later, a trachestomy, fundoplication, G-Button and everything in between. 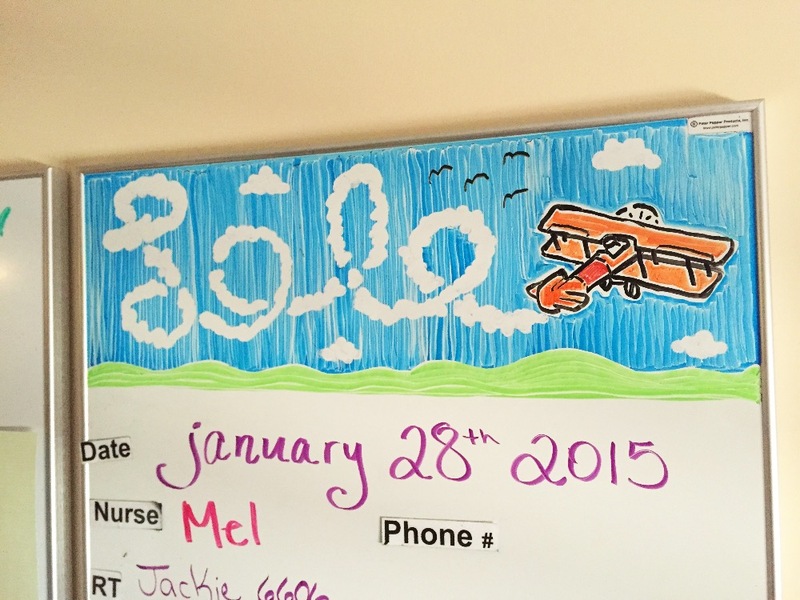 The day after LoLo's big surgery, I decided to draw her name on the white board in her room. Nothing too intricate, but it was fun and got my mind off of things for a while. I had the idea to do a new one every day until we got to take her home. At this point, I didn't fully realize how many drawing that would be. You can check out the drawings from every day of her hospital stay in the album "LoLo Days" here. 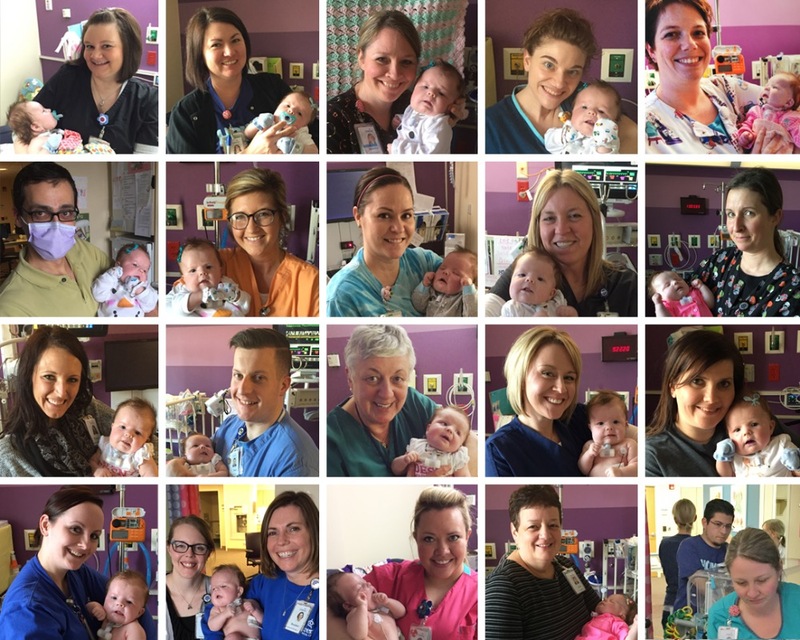 Just a few of the staff at the Omaha Children's Hospital that touched our lives and help us bring our baby girl home. 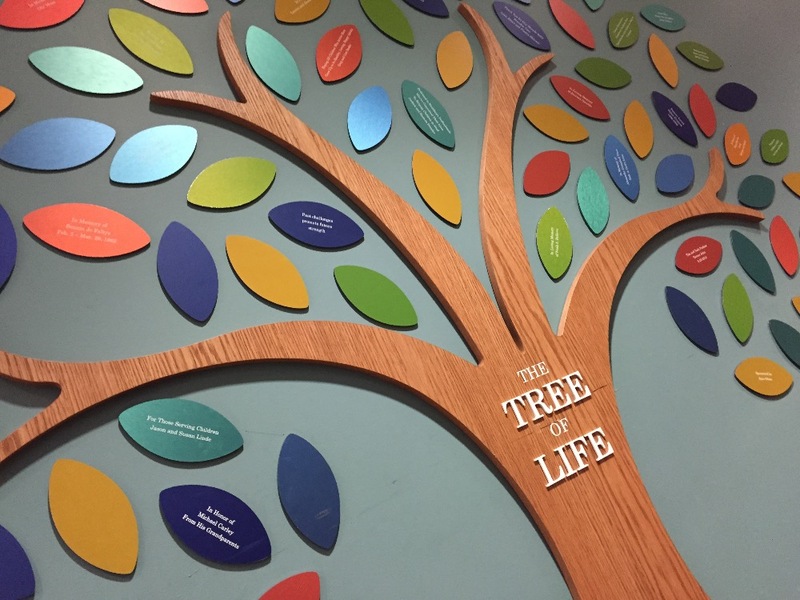 If you'd like to help, we're collecting donations to help with hospital bills and ongoing medical expenses for LoLo, to get LoLo a leaf on the "Tree of Life" to be displayed in the NiCu waiting room, and to make a donation to the Omaha Children's Hospital. 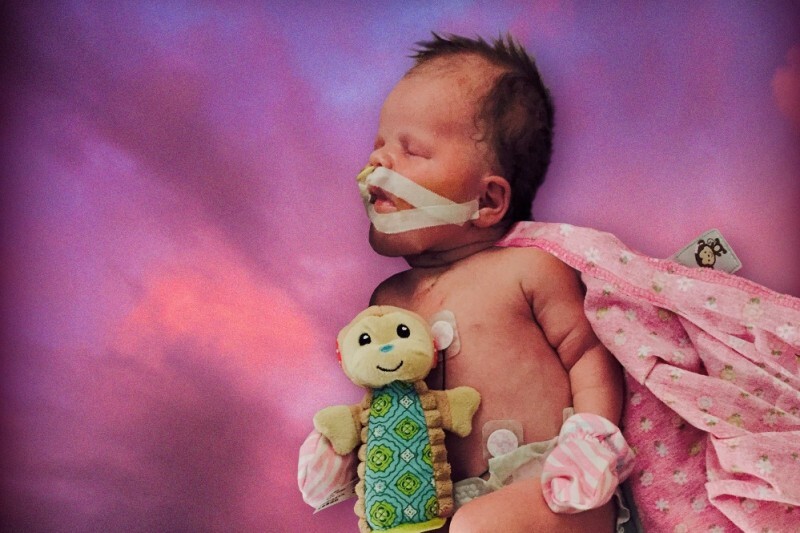 We were beyond blessed with the outcome of LoLo's stay at Children's. We saw a lot of families that faced tougher decisions and more devastating outcomes. We'd love to be able to help other people in situations like ours. As many of you know, we've been tracking LoLo's AFP (Alpha Fetal Protein) levels as an indicator for cancer since we found out that part of her tumor that was removed at birth was malignant. Well, the last few levels had gone up, then down, and then back up even higher, to the point that our oncologist, and Beth and I, wanted to go ahead and get an ultrasound and a CT scan to make sure cancer wasn't the reason. We're so happy to report that both the ultrasound of her stomach and liver, and the CT scan of her lymph nodes, neck and head, came back NORMAL! This had been weighing pretty heavily on our family, so I can't even tell you how relieved we were to get that news. She was a trooper through the whole ordeal, and we really appreciate all the support and positivity from everyone. It means a lot to know that so many people are following her story and cheering her on! 1. She gained a considerable amount of weight! From 16 lbs 3 oz last month to 17 lbs 6 oz, which is huge for us. Beth has been working with her so hard to get her weight up and getting her to try more and more things by mouth. So this is an awesome payoff to all her hard work and a big step forward to getting her off her tube feeds and not needing her G-Button any more! 2. To piggy-back off #1, we found out that she loves parmesan garlic french fries, like… A LOT! 3. Her ENT was really impressed with some of the sounds she is making and how well she is tolerating the valve that she wears to make those sounds (her PMV). He did a scope of her esophagus and said he didn't see a lot of progress with her epiglottis (which is the reason she has her trach). It's changed though, it's not as "floppy" as it was before, but now it's hot dog bun shaped instead of flat, so it's still not doing it's job. It was also not allowing for a good look at her vocal chords. He said there's no book for her on how this is going to go, she's writing it as we go, so there's no "definites" in her case. This is good and bad for us, more "wait and see," but at least it's not bad news… just unsure news. Next step is to take her in to the operating room in 3-4 months, put her out, and do a more comprehensive scope. He said there's some possible surgeries they could do down the road to help the issue, but for now they just don't know enough. 4. At our Oncology appointment, or more accurately, on the trip home after our appointment, we found out that her AFP levels (levels we are tracking as an indicator of cancer) went up considerably since last time. From 7.5 to 30, which is very bad because we want them to trend down and they've never jumped that much. Our oncologist said this could be because of her sickness just before Thanksgiving, and she'd like to check the levels again in January before we get too worried. To be really honest, this scares the hell out of us. All we can do is hope that it's an anomaly cause by her sickness, and that things will be back to normal in January. In the meantime, we have a happy, active, funny baby who is turning ONE this week. Although we didn't get all the good news we were hoping for at our appointments, looking back at how far she's come over the past year is nothing short of amazing and couldn't be more proud of our little fighter. We can't wait to celebrate her birthday will all our family and friends. Thanks for your support! LoLo will be 11 months old tomorrow. Last time we saw her ENT, he told us there was a chance her vocal chords might have been damaged and she might not be able to make a sound. 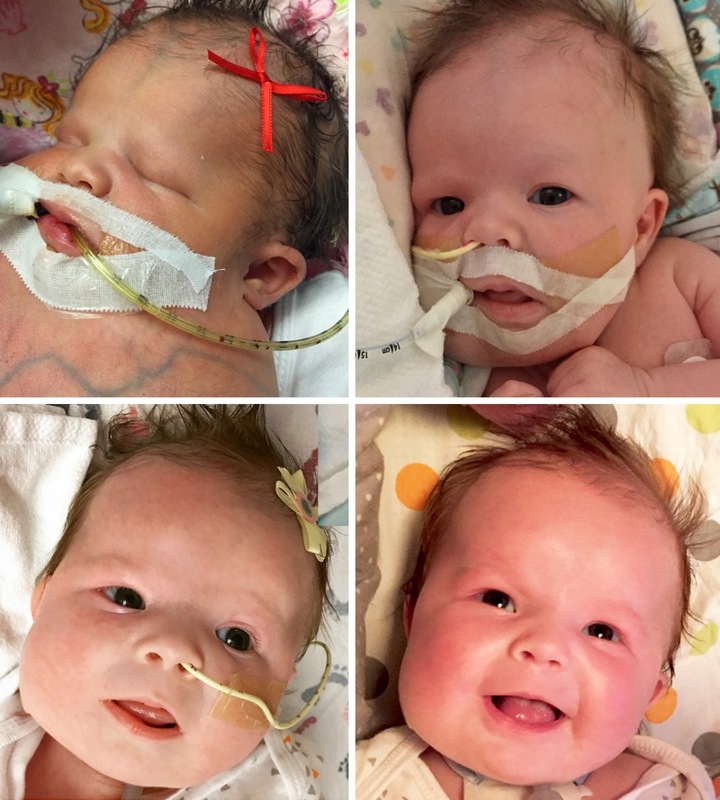 Well, last week she proved him wrong, and with help of a valve on her trach that forces air out of her mouth, we heard her laugh for the first time! 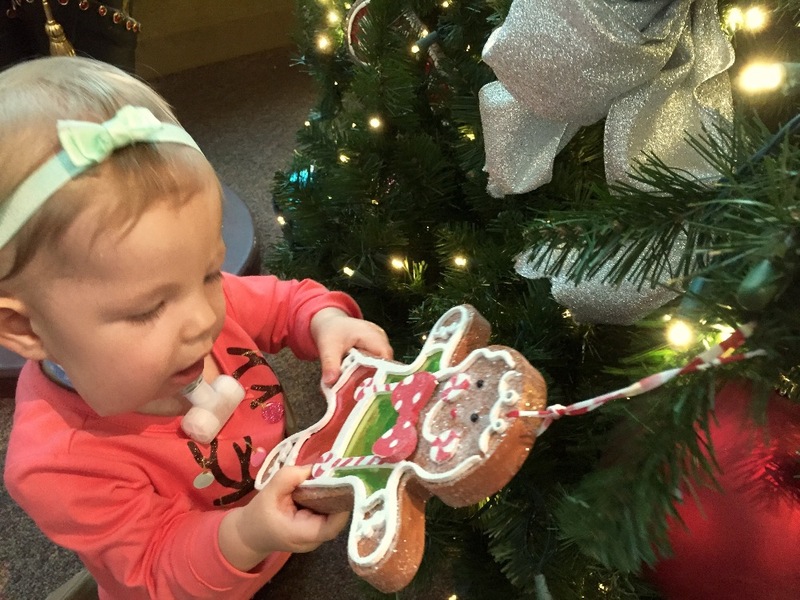 Her next hurdle comes in December, when our ENT will scope her throat to see if her epiglottis has made any progress and find out if we can get rid of this trach any time soon. We've learned to never underestimate this little girl, so we're optimistic that she's made strides since our last visit. Go LoLo! 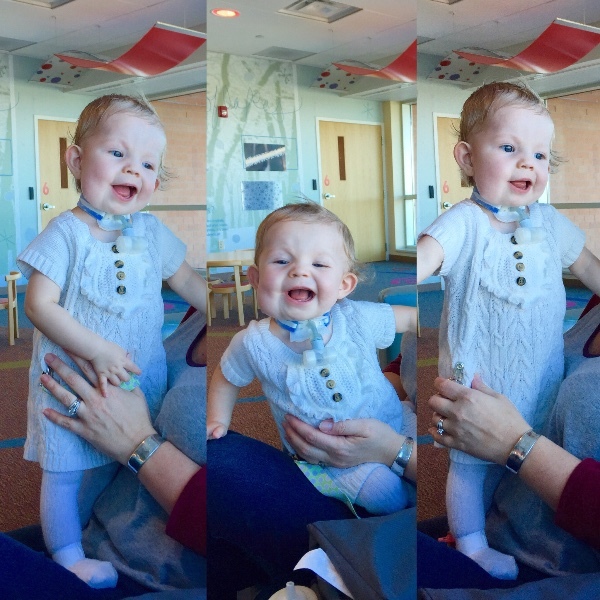 By popular demand, here's a recap of LoLo's appointments at Children's. She's 10 months old now, crawling all over and pulling herself up on everything! Her thyroid levels are still a bit off, but we're just watching it for now. The swallow study to make sure all liquids and foods were going where they should, looked good. Oncology said, with the AFP levels going down again, we should be good, but are concerned about her being underweight. Eye appointment took forever, but went well. We talked with their marketing department/foundation and have some exciting things coming up! Most importantly we stopped by the NICU and got to see quite a few of the nurses and RT's that took care of LoLo. Busy trip, but our girl is doing great! LoLo having fun waiting for her appointments and waving to all the cars driving by below! Best wishes for continuing health improvement! Praying a joy-filled, healthy life over LoLo... and a strong, beautiful voice that echos God's glory!